CXO-Viewer is an integral part of the CXO-Cockpit Reporting Suite. CXO-Cockpit Reporting Suite is a powerful Mobile and Web-based Reporting and Analysis platform for customers using Hyperion, SAP BPC and other so-called EPM Systems. The CXO-Cockpit Reporting Suite provides production ready Mobile output and Web-Based Dashboards of your most valuable data in a matter of days instead of months or years. The risks and the total costs of ownership associated to CXO-Cockpit projects, are among the lowest in the industry. CXO-Viewer for iPad is the ideal way to distribute the month-end, quarter-end or flash results to a larger audience of high-end finance users (like CFO`s, CEO`s either at HQ or within divisions) of your organization. Users would not require prior training because all relevant financial information is presented in a structured and simple format. CXO-Viewer is basically the same as receiving a PDF of a periodical reporting book, with one big difference: CXO-Viewer is not providing static data, but allows you to provide true guided and interactive analysis of your key EPM data. 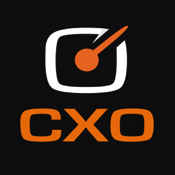 Please test drive the CXO-Viewer app by downloading it from the App Store.